Salt Lake City Marathon is a cornerston of Utah's running events and was recognized by Salt Lake City Weekly as the best running event in Utah. The race is very well organized with fully staffed aid stations and lots of cheerful spectators from start to finish. Run through Salt Lake City’s iconic landmarks while surrounded by the towering Wasatch Mountains. Finish victoriously and celebrate with friends and family at the historic city hall building. The course is an overall gradual downhill race with a few short climbs. The event is USA Track & Field (USATF) and Road Runners Club of America (RRCA) certified, offering open, masters, and age group divisions. With a wide variety of distances and events, the Salt Lake City Marathon can accomodate any interest or skill level. For 16 years, the Huntsman Heroes running team has partnered with Salt Lake City Marathon to raise funds for research at Huntsman Cancer Institute. 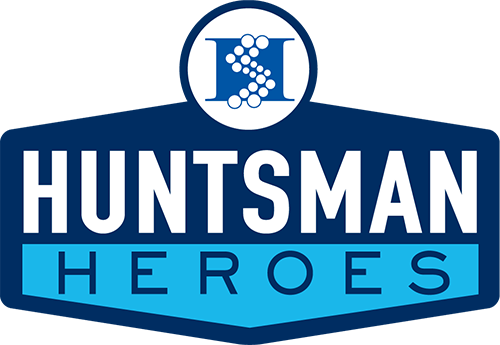 Over the years, this partnership has helped to raise over $1,380,000 for cancer research, and 100% of all funds raised through the Huntsman Heroes team go to fund life-saving research. For your commitment and dedication to raising money for cancer research, Huntsman Heroes will cover your event costs, provide you with a training program and schedule, a VIP tent at the finish line, and more! © Copyright 2018 Huntsman Cancer Foundation.